Tech gadgets have no doubt made our daily activities easier. It seems technology has an answer for everything. However, what you should know is that for everything that has advantages, also has its disadvantages. In this case, the disadvantage or side effect of technology is its negative impact it is having on your health. Unfortunately, many tech geeks are unaware of this because the effect may take a while to manifest. As a result, it is important for anyone attached to any tech gadgets to be aware of its negative effects before it is too late. 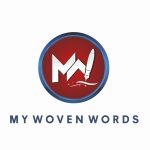 Today, My Woven Words gathers ways your tech gadgets may be affecting your health. A smartphone is one of the most popular gadgets many of us cannot do without. In other words, you are anxious and cannot concentrate because you are not with your smartphone. This means you have nomophobia (no-mobile-phone-phobia). The dependence on your mobile can affect your health because you can be depressed if you are without your phone.You can try to leave your phone at home once in while.